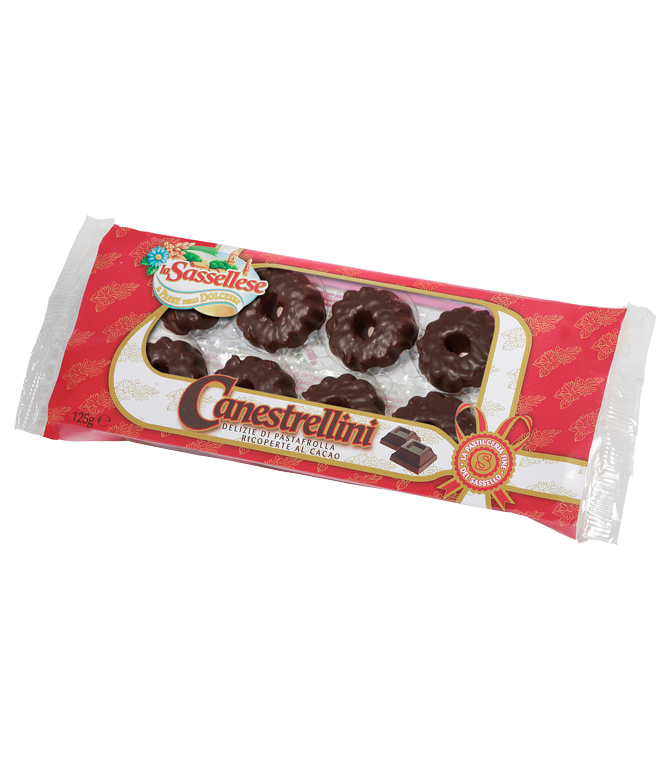 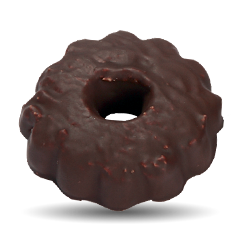 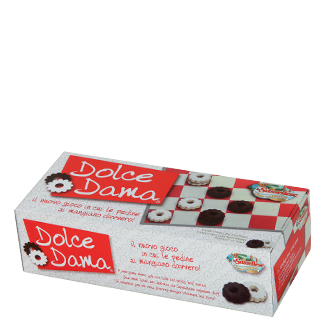 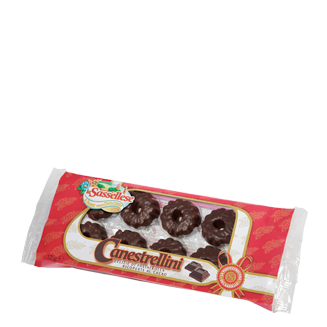 A tasty variation on the classical product are the chocolate-covered Canestrellini: similar to the Canestrellini and characterized by a delicious cover of the finest cocoa. 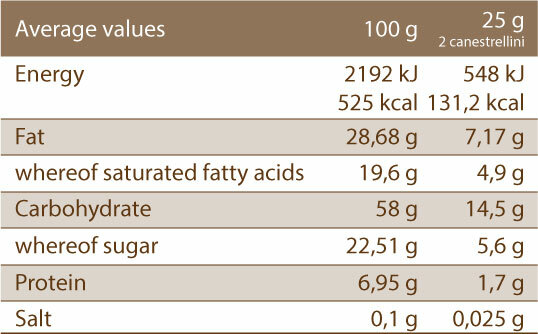 wheat flour, vegetable margarine (palm oil, coconut oil, water, emulsifier: mono and diglycerides of vegetable fatty acids from palm and sunflower, acidity corrector: citric acid), sugar, cocoa topping 20% (sugar, hydrogenated vegetable fats, thin powdered cocoa, emulsifier: soya lecithin, flavourings), egg yolks, flavours. 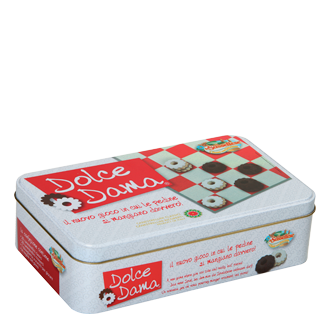 May contain traces of milk and milk derivates.